MogoBlog MogoLicious Tasty Tip of the Day: Homemade Frappuccino or Homemade Frappe is a basic recipe, but Homemade Frappuccino tastes just like Starbucks, except you don’t have to leave your home to have one! Easy, money saving with your favorite coffee taste, sure to love! The Frappuccino is blended with strong coffee, sugar, a dairy base, and ice. Add milk, sugar and coffee powder or Espresso in a blender and blend it for few seconds till mix well. Add ice cubes, half-half, vanilla extract, Hershey chocolate syrup and again blend it well till smooth well mixed syrup. Pour the prepared Frappuccino into a glass and top it with whipped cream, chocolate syrup and caramel syrup. Now your Starbucks style homemade Frappuccino is ready, serve it chilled and enjoy your treat. You can use any milk like 2%, 1% or fat free as per your choice. You can use ¼ cup of fresh cream instead of half-half. You can use any syrup for topping as per your choice. You can add ¼ cup condense milk for creamier and richer taste, it’s absolutely as per your taste preference. 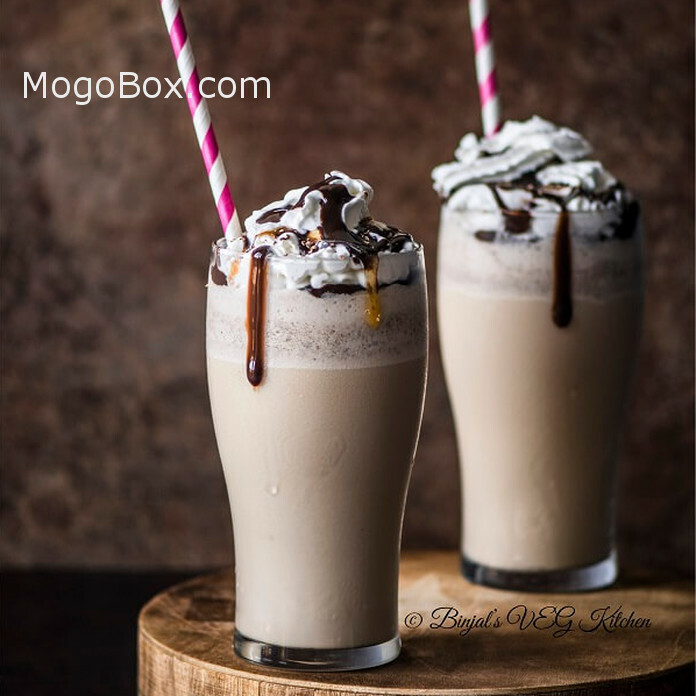 This entry was posted in MogoBlog, MogoLicious and tagged #MogoBlog, Brown Sugar, Caramel Syrup, Chocolate Syrup, Espresso, Frappuccino, Half-n-Half, Ice, Milk, MogoLicious, Starbucks, Vanilla Extract, Whipped Cream.